Welcome to FOSS4G! Please grab a buddy to go through this workbook. Welcome to Geospatial for Java -this workbook is aimed at Java developers who are new to geospatial and would like to get started. You should of completed either the GeoTools NetBeans Quickstart or the GeoTools Eclipse Quickstart prior to running through this workbench. We need to be sure that you have an environment to work in with GeoTools jars and all their dependencies. For those using maven we will start off each section with the dependencies required. This workbook features a new “code first” approach – we have made every effort to make these examples both visual and code centered. We have included some background materials explaining the concepts and ideas in case you are interested. Jody Garnett is the lead architect for the uDig project; and on the steering committee for GeoTools; GeoServer and uDig. Taking the role of geospatial consultant a bit too literally Jody has presented workshops and training courses in every continent (except Antarctica). Jody Garnett is an employee of LISAsoft. 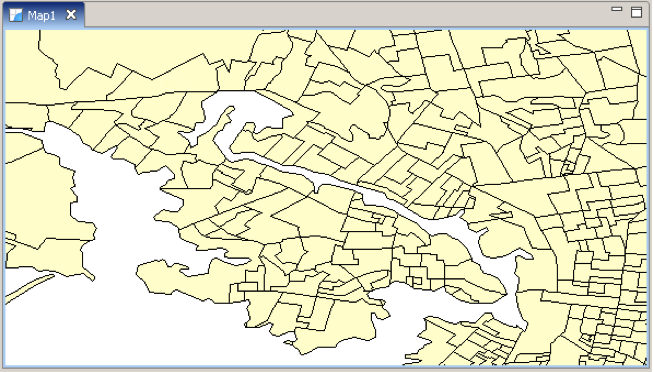 We are trying a new track for introducing features this year; rather then reading through a shapefile and ripping things apart in an artificial exercise, we are going to start by building a shapefile from scratch so you get to see every last thing that goes into creating features. Although the DataUtilities class used above provided a quick and easy way to build a SimpleFeatureType, for most applications you will want to take advantage of the more flexible SimpleFeatureTypeBuilder. A feature is quite simply something that can be drawn on a map. The strict definition is that a feature is something in the real world – a feature of the landscape - Mt Everest, the Eiffel Tower, or even something that moves around like your great aunt Alice. 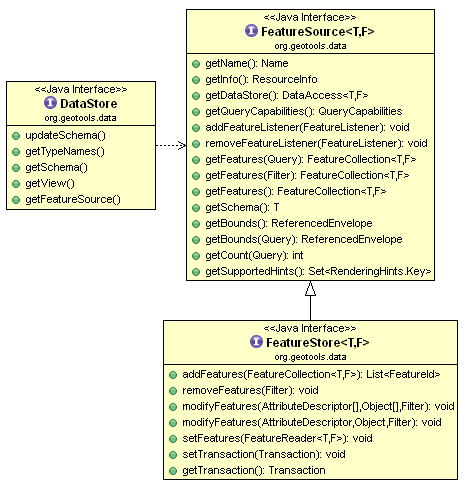 The Feature model is actually a little bit more crazy then us Java programmers are used to since it considers both attribute and operation to be “properties” of a Feature. Perhaps when Java gets closures we may be able to catch up. 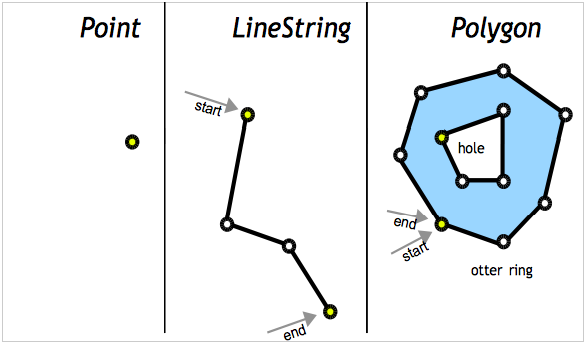 It is very common for a Feature to have only simple Attributes (String, Integer, Date and so on) rather then references to other Features, or data structures such as List<Date>. Features that meet this requirement are so common we have broken out a sub-class to represent them called SimpleFeature. 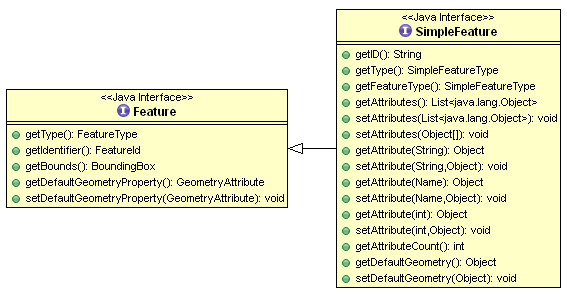 At the Java level the Feature API provided by GeoTools is similar to how java.util.Map is used – it is simply a data structure used to hold information. 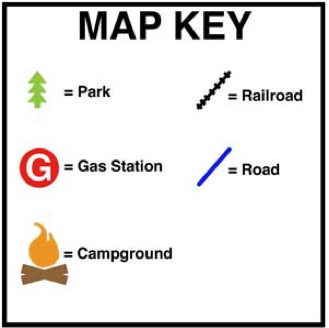 You can look up attribute values by key; and the list of keys is provided by the FeatureType. We decided to handle write access as a sub-class (rather then an isWritable method) in order to keep methods out of the way unless they could be used.